Perfect Silicone replacement with mental buckle for lost or damaged Garmin Vivosmart HR Bands. Personalized Your Garmin Vivosmart HR Bands with this refined replacement wrist band. Replacement Strap for Garmin,the lengh adjustable for various wrist, no matter men or women, all fits well. 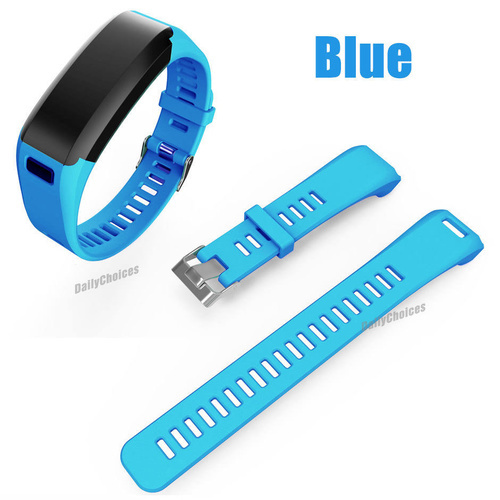 Durable and sturdy perfect band for Garmin vivosmart HR,different color with different mood when you working and traveling. Choose different color to change mood in daily life. Beautiful color for your choice and can get various colors then change every day and fit your clothes. Nice replacement accessories for Garmin Vivosmart HR wristband.